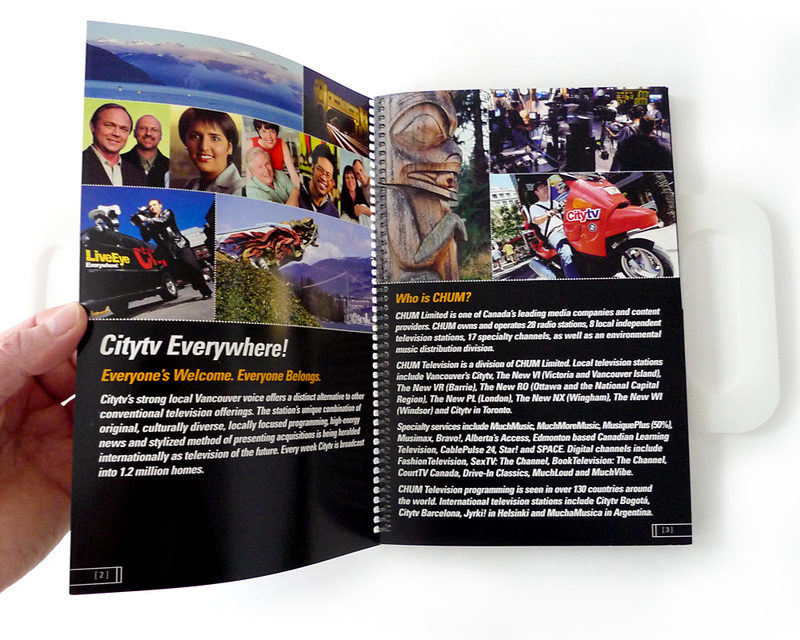 CityTV Vancouver was looking for a designer that could handle the print campaign for their new station launch in Vancouver, and were already behind schedule when they found me. 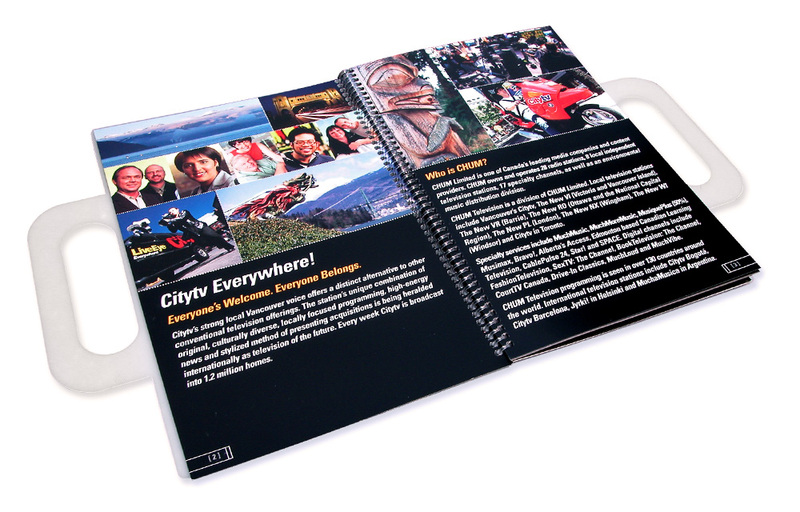 They were relieved to find somebody that could handle everything – and even more excited to find somebody that understood Chum’s unique culture and was looking for a bit of that ‘street edge’ that City has been delivering for years in Toronto. 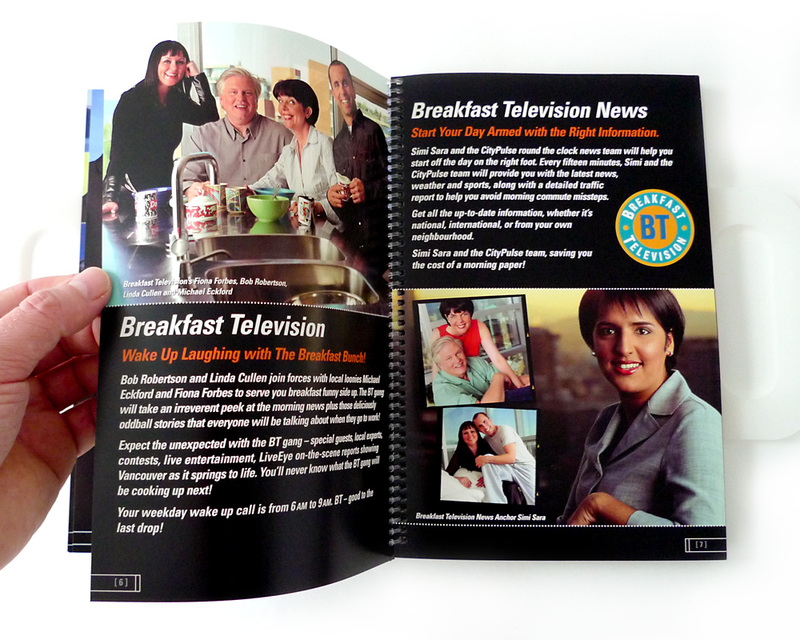 Being from back east, I was raised on the street-level culture of CityTV and knew exactly what they were looking for. 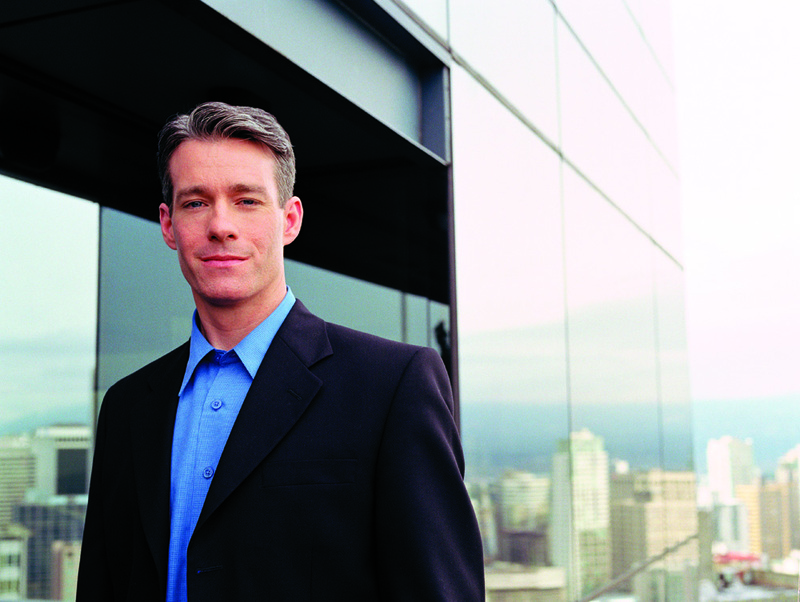 I got straight to work, arranging fashion photographer Gregory Crow, who’s cutting edge Oakridge Centre Mall photography caught my eye, so I enlisted him to add a bit of an edge to the photos (you can see the original photos below in this post). Knowing that Moses Znaimer had just purchased a penthouse suite in the brand new Wall Centre in downtown Vancouver, I half-heartedly asked if that might be a possible location for the photo shoot. It turned out to be a great idea since Moses had moved in, but wasn’t spending much time in the suite at that time. 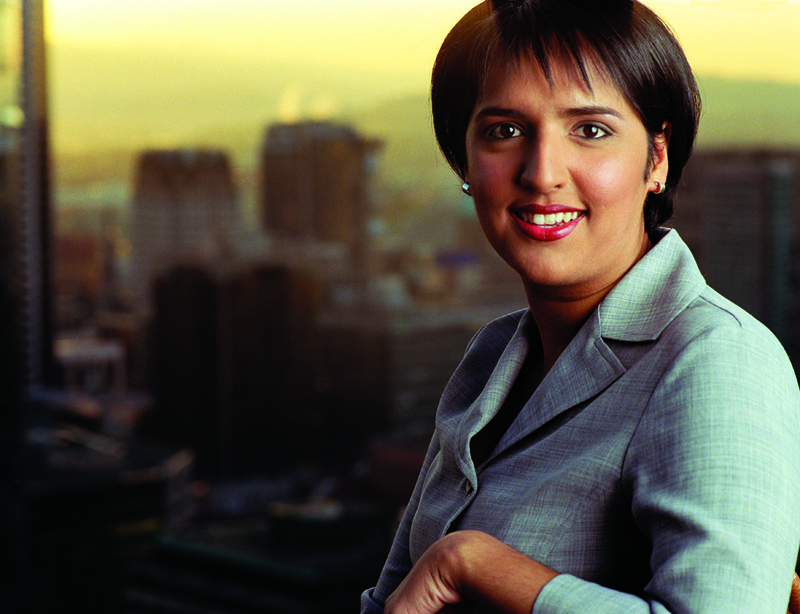 All the photos of the television personalities were shot in his penthouse and outside on his deck, which added a unique flavour to the photos. 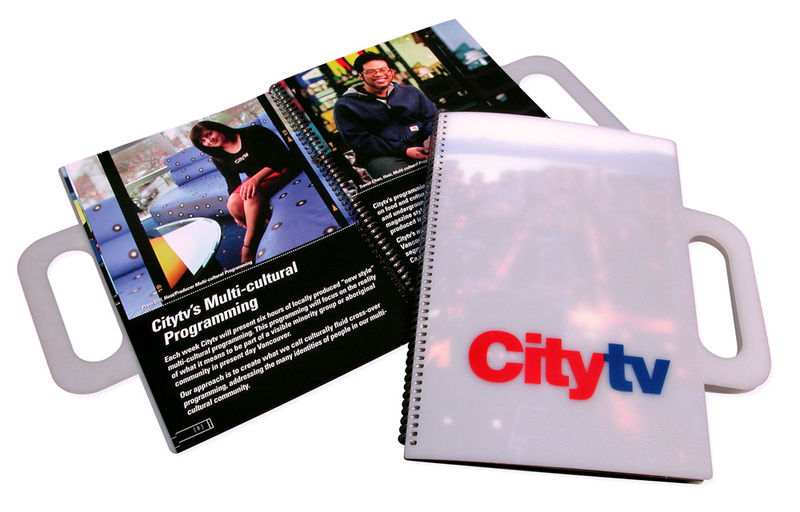 Designing the collateral to align with CityTV’s brand guidelines, I also arranged the printing with Hemlock Printers, and project managed the job from beginning to end. 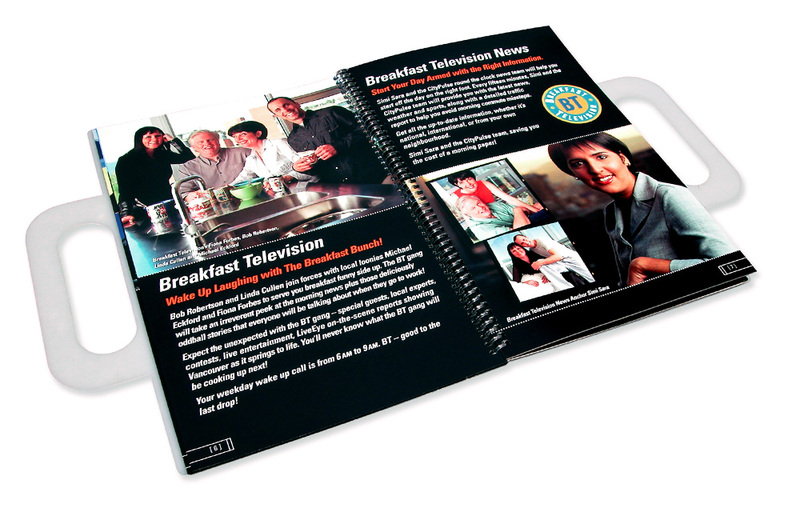 The Sales Kit and other collateral were all delivered on time, and the client was ecstatic with the final piece. 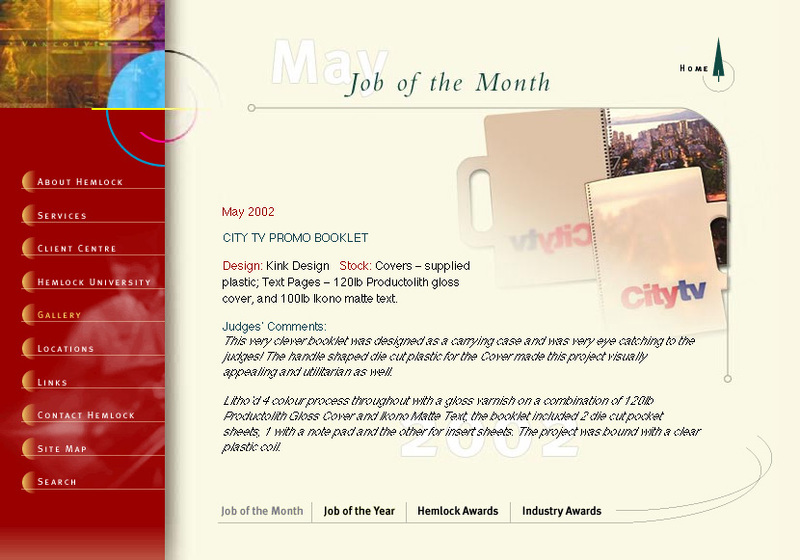 In addition to the client being very pleased, the CityTV Sales Kit won the May 2002 Hemlock Printers Job of the month award. 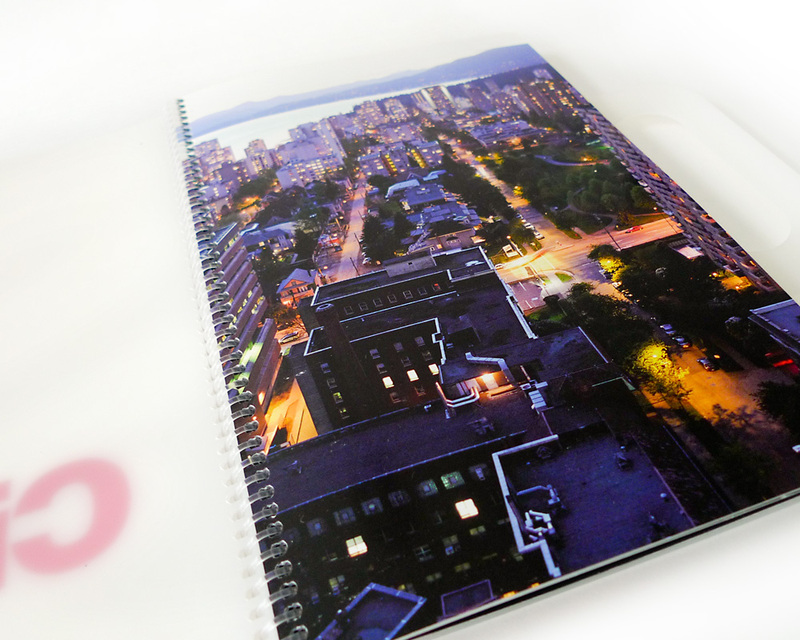 Click here to see what Hemlock Printers had to say about the job. 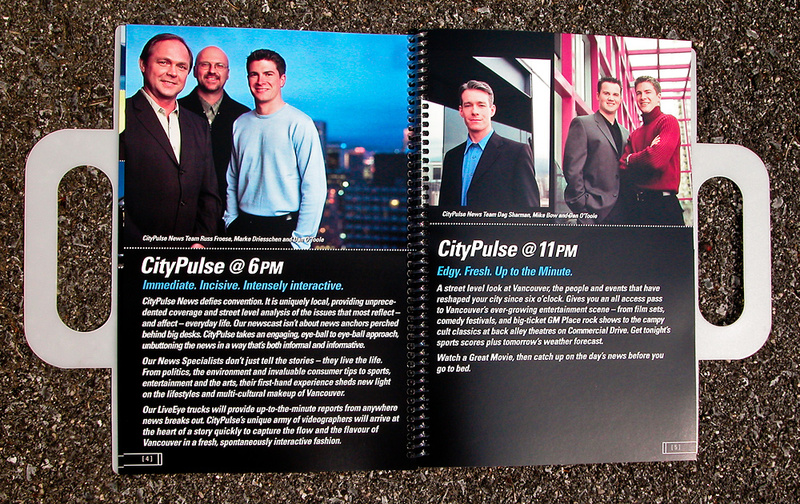 The CityPulse news reporters from the 6pm and 11pm teams photographed on Moses Znaimer’s penthouse suite deck at the Wall Centre in Vancouver. 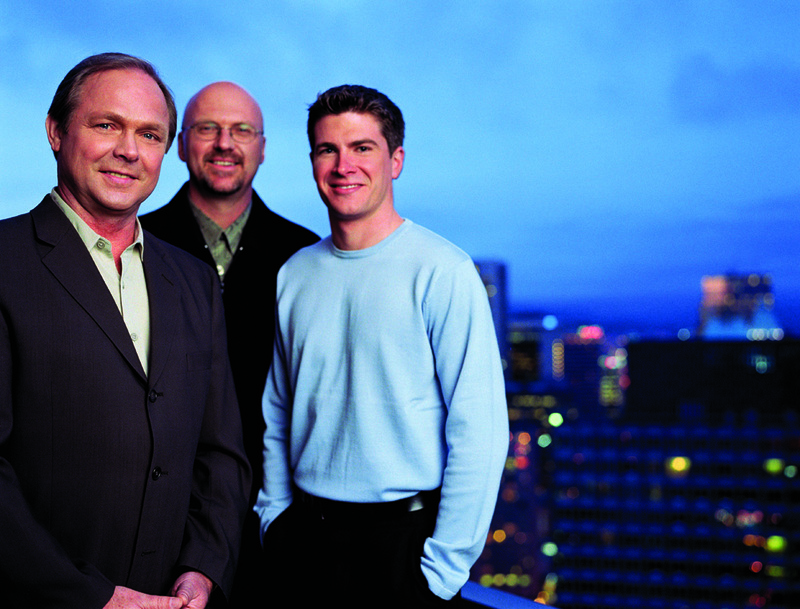 Below are the original photos as shot by Gregory Crow.